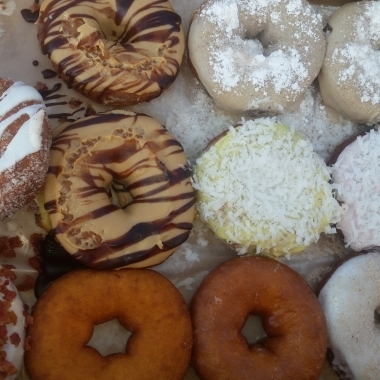 Duck Donuts Bring the Beach to the DMV In the immortal words of Homer Simpson: “Doughnuts. Is there anything they can’t do?” On a trip to Virginia Beach last weekend, I discovered Duck Donuts. Only a fool wouldn’t want one of these heavenly-holed pastries.